This area was known as Virgin's End in the 19th century. 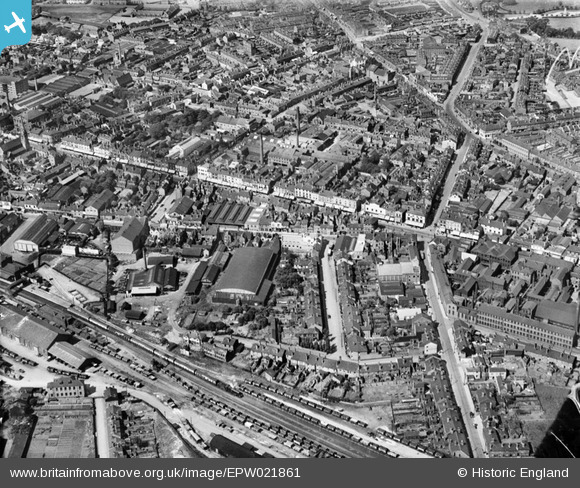 Slum clearance in the 1930's erased the older type dwellings, some of which can be clearly seen in this image. Junction of Lower Queen Street and Paradise Street. The roof of the big building is the old Kings Cinema. All demolished about 1969 to make way for the Kings Square. Hen & Chickens public house, on the corner of Messenger Lane and Reform Street, Mayer's Green. In existence from at least 1834, it closed in 1969, when the Expressway obliterated Messenger Lane completely.